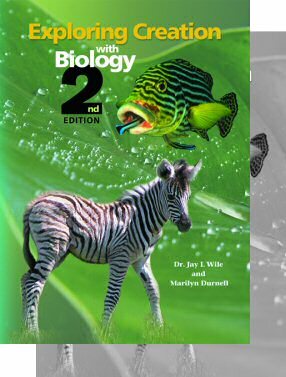 Dr. Wiles biology textbook Exploring Creation is a very popular text on biology and has given Dr. Wile a large following on his blog and as a conference speaker. … I want to continue this discourse now with one of the most well-studied processes used to estimate the age of the earth: the amount of salt in the oceans. Everyone knows that the water in the oceans is salty. In fact, the average sample of seawater is 2.7% table salt (sodium chloride). To a chemist, the term “salt” includes a lot more than just table salt – it includes any ionic compound. If I include all things that chemist classify as salts, the average sample of seawater is 3.5% salts. It turns out that the amount of salt in the oceans has been studied for almost 300 years1, so we know a lot more about it than most of the other processes used to estimate the age of the earth. What we know indicates that the earth is young. Now you might wonder whether or not we really know how much sodium is entering the oceans and how much is leaving the oceans. After all, the oceans are really big. Do we truly know all the ways sodium can enter and leave the oceans? I don’t know. However, I can tell you this: We have been studying this specific question for 300 years. That’s about THREE TIMES longer than we have been studying radioactivity, which is one of the main processes that causes scientists to think the earth is billions of years old. Thus, we understand this process much better than we understand radioactivity. There is some fascinating and weird logic going on here. For someone who is writing science textbooks for students I’m disappointed in how he portrays the scientific enterprise and the general lack of understanding of this particular topic. Lets begin with the line “one of the most well-studied processes used to estimate the age of the earth.” By well-studied you can see that he means that science has had a lot of time to study salt deposition and removal but this sentence implies that this method is one of the best studied for the purpose of understanding the age of the earth. Very few people that have ever studied the salt in the oceans have used salt to estimate the age of the earth or even cared it salt has anything to do with the age of the earth. No textbook in the past 50 years would even think to talk about salt in the ocean as a chronometer. Dr. Wile only includes two references. The first is to Haley from 1715 which references the first crude estimate of the age of the oceans and Austin and Humphrey’s in 1990 which we have discussed already. I don’t expect extensive referenced works on blogs but in this case I suspect, based on the wording of his entire article, that the Austin and Humphreys is the primary source he read about salt in the oceans. Clearly he got most if not all of his material from their article. The we of “what we know” sounds like he is referring to many scientists but really he is only referring to the very small number of creation scientists who have spent any time at all investigating the salty sea. But I don’t think he realizes how few people he is talking about, I think he actually believes that the majority of scientists actually believe that the salty sea is a problem for an old earth but simply won’t admit it. Dr. Wile has a PhD in nuclear chemistry and to many represents an authority on science as a popular educator but he hasn’t spent any time trying to understand the salt in the oceans and yet he is willing to proclaim that this is one of the top 5 scientific reasons he believes supports a young earth! Looking back at my previous posts (Part II and Part III) on this topic we can see what has happened to Wile. He trusts the authority of Austin and Humphreys and has not personally attempted to assess their data and arguments. I think that if he were to examine them himself that he would would realize that there is little credence to the argument though with his current commitments he might simply continue to believe that Austina and Humphreys are correct. The other interesting logic in this article concerns his statement that we have studied salt 300 years longer than radioactivity and so we know a lot more about it. Dissolution, transport and removal of salts from bodies of water is very complex and even if some of the hundreds of processes involved has been studied for some time. Just because it has been studied longer doesn’t mean we know more about salt in the oceans than we know about radioactivity. Yes, we do know a lot but what we know tells us that measuring salt in the oceans is no way to estimate the age of the earth rather that lending credence to a young earth. At the end of this series I would just say that I find it rather disheartening that I would even need to take the time to do even this short series on the ineffectiveness of salt chronometers. It isn’t like I’ve discovered something new. Many many other Christians and non-Christians scientists have pointed out most of what I have said here before. It has been examined in numerous book and and many blogs. The salty sea is an interesting thing to ponder but as an apologetic for a young earth it doesn’t make sense with what we know today. « The Salty Sea Part III: Are the Oceans Getting Saltier Over Time? It seems very unfortunate that some people in positions of teaching authority do not take the time to even investigate the claims they are making, which are very often extremely easy to investigate. I really find myself frustrated at times with many textbooks used in Christian schools because of the lack of good editing. For the most part Wile’s books are fairly clear and accurate but he isn’t a biologist and his biology text has quite a number of problems partly because he just doesn’t have enough familiarity and partly because he trusts sources for information that aren’t trustworthy and so perpetuate those errors. Not that secular books don’t have biases and that just plain wrong things at time get published but there is a better system of checks in places for some publishers and the review process. I have really enjoyed your series on this topic. We homeschool our kids, but as far as science, we do not use any of the AiG etc material. The lack of scientific humility (esp. with regard to the age of the earth) is really disappointing. They seem to simply sift science for nuggets to support their dogma, but this is not anything new. My oldest daughter is using Wile’s Physical Chemistry for science. I read through it and did not see anything alarming. As for future biology and even chemistry, I think I would rather use a “secular” book and dialogue about evolutionary assumptions. Thanks for the comment. I also have children that have used some of these textbooks. I think Wile’s books in general do a good job with most areas and probably his chemistry is fine. In other homeschool and christian school text I have found an somewhat amusing disjunction in the presentation of many theories. In one part of the book there will be descriptions of geological phenomena that are clearly based on an old age assumption but the author seems oblivious to the obvious connection but then later in the book will present information that is nearly contradictory to that early chapter because now they focus is on “origins’ issues. In most cases I think that the authors of many of these books don’t know enough about the areas of science they are writing about or they don’t know the creation science literature well enough to realize that they are contradicting the young earth view over and over again even though they think they are supporting that position. I’m not going to make a big deal about the book. As I said, in many ways the authors are so oblivious to their on inconsistencies that the books generally convey conventional geological thinking in almost all matters except the designated chapter that deals with so called “origins” science. ‘well-studied’ is describing ‘processes’ not the use of that process applied to dating the earth. I could say that: radioactivity is a well studied process. As well as: The process of using radioactivity to date the earth has been studied extensively. The application of the oceans’ saltiness is indeed not extensively studied, but that’s not what the sentence says anyway. I think his point was that the process is well studied, not the use for dating the earth. However, the connection of those, i.e. because the processes is well understood, it provides a reliable method to dating the earth, is the problem. Very informative set of posts, greatly enjoyed. Dr. Wile, who I consider to be one of the better YECs (he is intelligent, articulate, and avoids some of the really bad YEC arguments) has done a little bit of discussion about what you have had to say on an unrelated blog post: http://blog.drwile.com/?p=8792 . Go down to comments starting on October 1st.